In the US, the Chevrolet brand brings to mind trucks, SUVs and the Corvette. Elsewhere in the world the Chevrolet lineup consists of a number of Korean-built models. 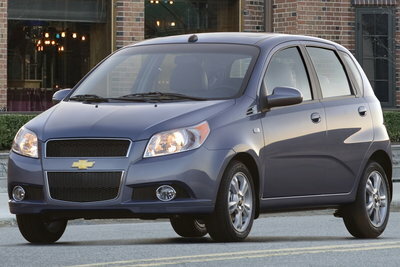 One model in common is the entry-level, sub-compact, Chevrolet Aveo. The Aveo similar in size to its principal competitors, the Kia Rio and Hyundai Accent. The Aveo5 has been re-worked to match the changes made to the sedan last year. The 2009 model wears new styling on the outside and inside. A 1.6L four-cylinder now provides 106-bhp and 106 lb-ft. of torque.